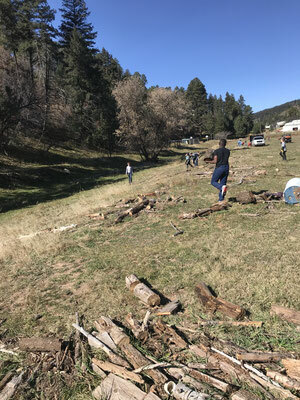 Not long ago I spent a few hours carefully sharpening axes and chainsaw chains in preparation for our “Men’s Woodcutting Weekend.” Our three house dads; Michael Speegle, Ricky Millwood, Tony Pena and I, took a group of boys who live here at New Mexico Baptist Children’s Home to Sivell’s Baptist Camp in Cloudcroft, New Mexico. It was intended to be a weekend trip to restock our firewood supply for the winter. I must admit that, in the beginning, I was focused on the task at hand, getting as much wood as possible. It wasn’t until I was in our shop on campus, a couple of days before we were to leave, that I remembered Michael Speegle quoting the verse above to the boys while telling them about the trip. 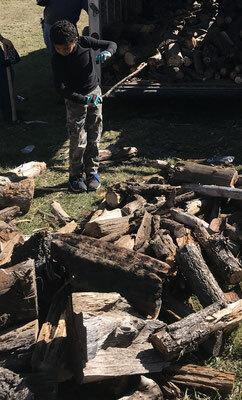 As I stood at the bench grinder, carefully shaping the axe head in my hands, I began to get truly excited about seeing how God was going to use these men, and this trip, to shape the boys. I was not disappointed. The first way that I saw God shape the boys was through worship. Upon arrival at the camp, the boys unpacked their gear and we headed out and lit a bonfire. I played a few silly songs on my guitar and then asked for requests. The boys (and house dads) immediately started shouting out the names of praise song after praise song. I did my best to keep up, but my skill level was no match for the hunger that these men, from 6 to 60’s, had for worshiping and praising their God. The next morning the boys rose and got ready early, with a perfectly acceptable amount of grumbling, and we joined a group from First Baptist Church, Lovington who were at the camp on retreat, for a wonderful breakfast in the dining hall. These folks had come to get away but as soon as they saw the boys come in, they began to spread out, sit with the boys and talk to them. They told the boys that they pray for them often and they showed a real interest in what the boys had to say. The camp director, Jay Hammond, and his staff were so wonderful, patient and loving toward all of us. 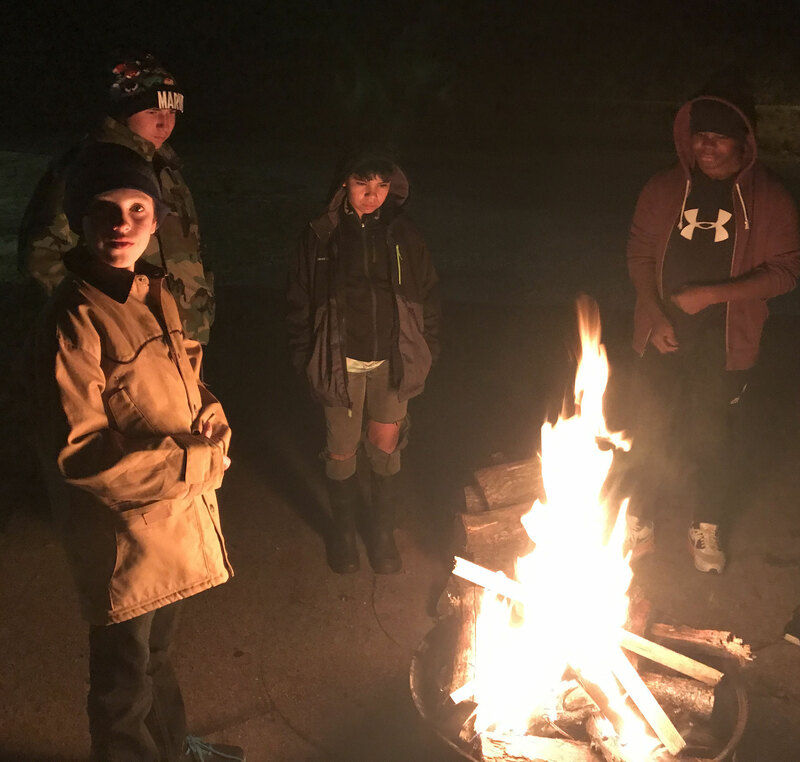 These simple sacrifices of time and comfort shaped the boys by showing them that they are loved and cared for by people across the state, and not just on our campus. 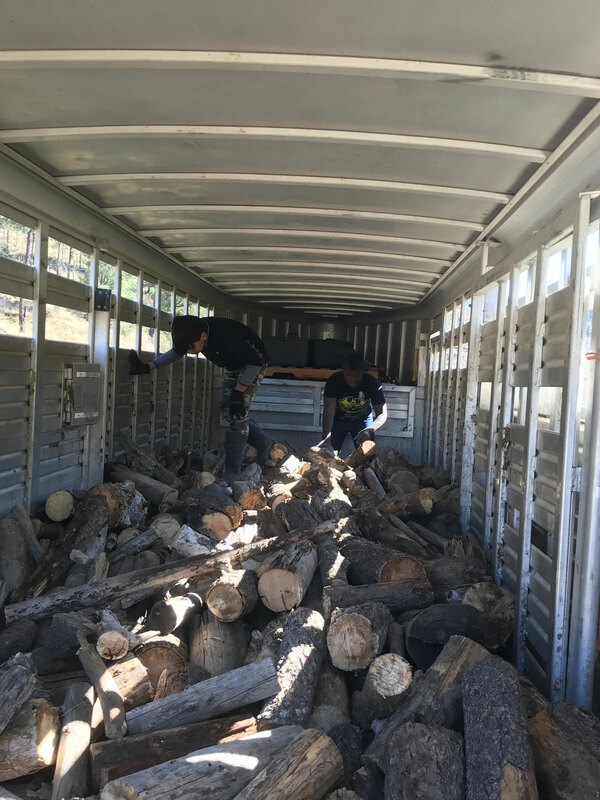 Before arriving, it was my understanding that the camp was simply allowing us to cut wood to meet our own needs. 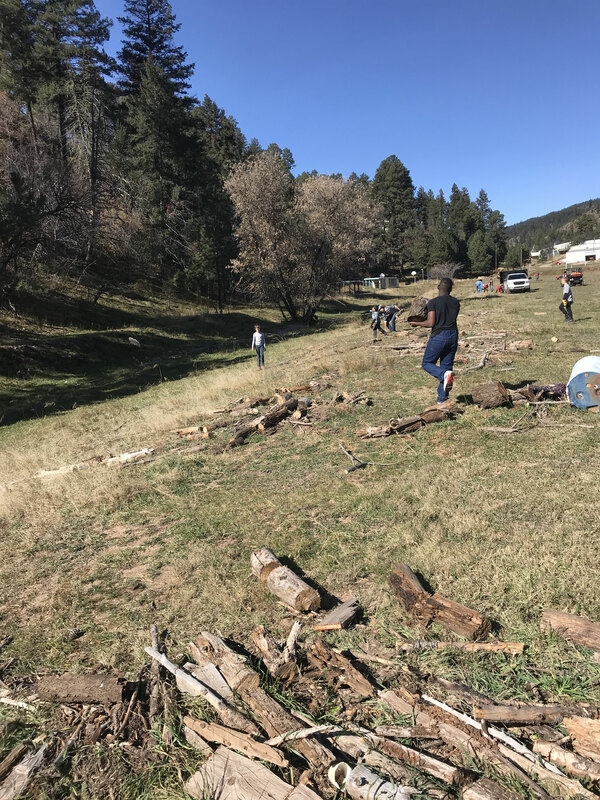 After arriving, however, I learned that due to a recent flood, a lot of trees and debris had washed down from the mountain and on to the camps Rec Field. Isn’t it amazing how God can orchestrate an encounter between His people? Not only did we come home with a large gooseneck trailer full of firewood but, with the help of the camp staff and some wonderful volunteers who happened to be there from Artesia, we were able to cut and clear all the debris off the camp’s field. Any good wood was loaded into our trailer and any rotten wood was hauled off to a pit. The boys got to see, first hand, what makes Baptists, Baptists: cooperation. 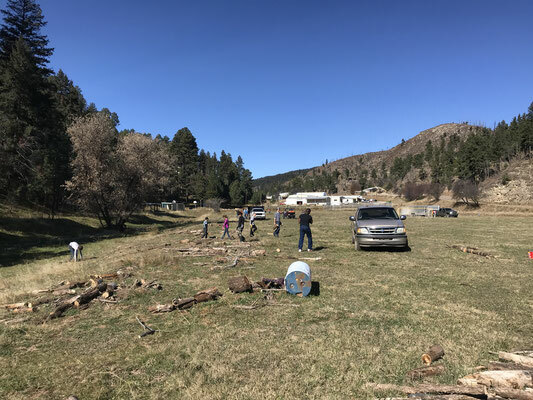 Baptists from all over New Mexico came to a beautiful place, on a gorgeous fall day, to work together and God provided exactly what we all needed. In a world that tells our young men that they should focus on themselves and their own needs and desires, these young men were able to see God’s people put each other first and they were able to see everyone benefit from it. Everyone one of us was dirty, sweaty and sore as we drove back out of the mountains, but we were all changed, or should I say sharpened, in some way. Praise the Lord and may He never stop using iron to sharpen iron! What a beautiful testimony! Thank you For sharing. Our God is awesome. I love all the faithful people who love to be the hands and feet for our faithful Lord and how He puts us together shaping and sharpening. To God be the Glory.